You never know when you are going to meet someone who is going to become a special person in your life. At curling events, including here at the 2013 Ford World Men’s Curling Championship, presented by Booster Juice, in Victoria, the opportunity to do so is around every corner. Many years ago at the summer curling camp that my family has run for over thirty years, I had the good fortune to meet a young man that would become a lifelong friend. Marcel Rocque made an immediate impact on me. He was a young curler with a big dream, living in a small town. A question he asked stumped me at first: “How can I find a team of four that are as serious about curling as I am?” My only response was to encourage him to practise hard and hone his skills to be prepared for the day when he headed off to university in a larger city so he would be ready to be enlisted by someone looking for a great young teammate. Well, obviously Marcel found a way to make his dream come true, as he is now one of Canada’s most decorated curling champions. He is here at the Ford World Curling Championship in Victoria representing the championship team that took the gold when the event was last here in 2005. 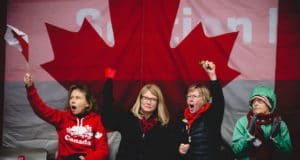 Marcel’s fan base has not diminished since his 2005 Randy Ferbey team held the community of Victoria captive for nine days of thrilling curling games, including surviving a six-way tie for first place. 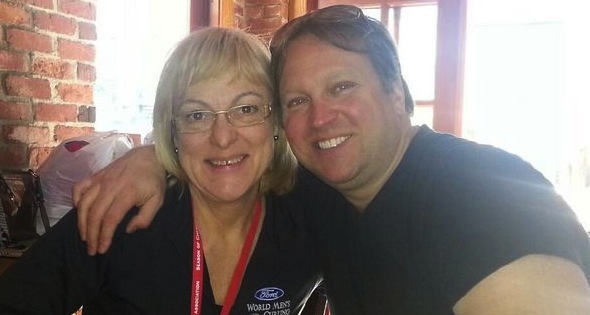 Over the years, Marcel and his lovely wife Raylene have become close friends. We have invited him back to our summer curling camp as an instructor and of course he has hit that assignment out of the park! We at the CCA have also found a way to have Marcel share his wealth of experience with the next generation of champions – like Team Brad Jacobs and many others. Marcel has been working with National Team Program athletes as well as development athletes across Canada to develop a new generation of ‘Huff and Puff,’ the legendary sweeping pair of Marcel and Scott Pfeiffer. He has teamed up with CCA coach consultants Glen Jackson (yes another family connection:) and Melissa Soligo to develop best practices for the theory and technique of effective sweeping. Every time we provide a stage for Marcel to deliver a message, he simply dazzles us with his passion, knowledge and drive to make a difference. He is a difference-maker. Over the first few days of the Ford World Curling Championship here in my community, I have run into many old and new friends. That is one of the many benefits of attending a major curling event — you never know who you are going to run into. 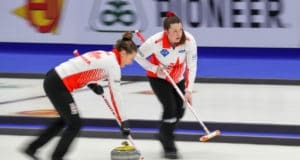 The whole Dagg-Jackson family is enjoying the curling, but even more, the opportunity to reconnect with old and new friends, and to host our curling friends in our own back yard. Please join us if you can! You gotta be there!